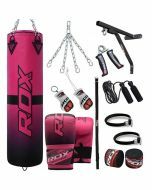 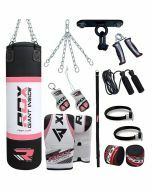 Made with Maya HideTM Leather and G-Core twinned layer, this 13 pc punch bag set features a durable, shock-absorbent punch bag that’ll challenge your fists and wrists without risking injury. 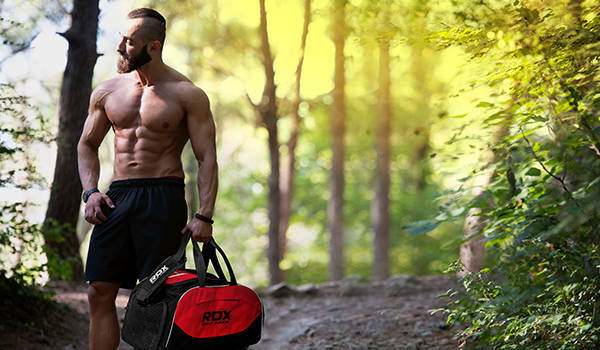 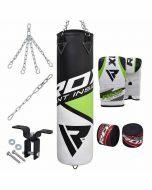 This boxing bag also features double-stitched seams for enhanced resilience. 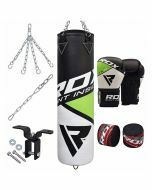 D-ring straps are triple-bolted into place to deter easy tearing, while the zip top allows fill modification and the tethered loop reduced bag sway when punched. 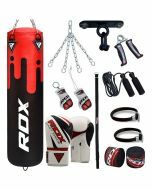 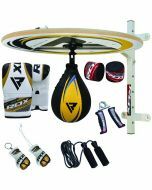 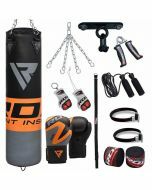 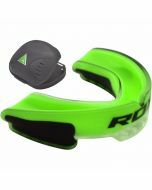 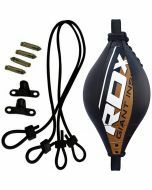 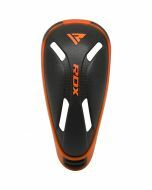 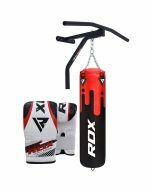 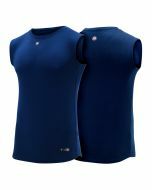 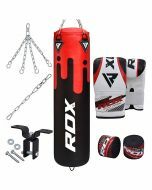 The set includes a pair of bag gloves with gel foam padding and all the necessary wall fixtures to hang up your punch bag. 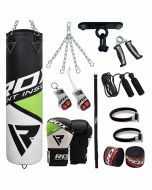 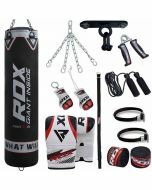 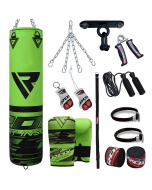 Moreover, the punch bag and gloves set includes a number of novelty items, such as bracelets, keychain and keyring.